Publication Date: 2010, Wild Soccer USA, Inc.
Kevin, the star striker, grabs your attention immediately with his action packed description of each member of the Wild Bunch. The action continues with down to earth dialogue as we experience their passionate love and devotion to the game of soccer. With the birth of spring, each unique personality must overcome many obstacles just to get to the soccer field. When they finally manage to get to the field, they find themselves surrounded by Mickey the bulldozer and his gang, the Unbeatables. This older, bigger, and meaner gang has taken over the field. Instead of running, the Wild Bunch stands their ground and challenges the Unbeatables to the most important game of their lives. The winner takes back the field. When they turn to Larry, the alcoholic lemonade guy and ask for help, they are in for a few surprises. The Wild Bunch learns many life lessons about teamwork and perseverance from their new coach. Their struggles and hard work also improve their soccer skills. With some unexpected twists and turns in the story, you’ll wonder until the end if this bunch has the stuff to win. As a retired teacher, who has taught many reluctant readers, I highly recommend this inspiring book. The fast paced action and gritty dialogue that flows through every chapter will captivate boys everywhere. Readers will find themselves rooting for these average boys who become super heroes by their sheer determination to win. Create the words for your poem below! Write whatever words come into your mind for each of the three words below. I'll give some examples. 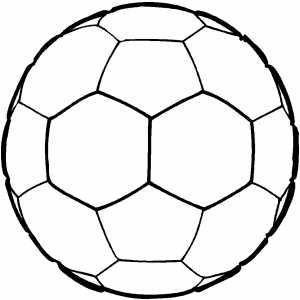 Use some of the words above to create a shape poem in the soccer ball. Remember your words can flow anywhere in the shape, but make sure readers can follow your poem. You don't need to use all the words. Have fun! Hi, Andres, Sports, including soccer, and being part of a team are important for kids also. My 4 year old grandson is on a soccer team and he loves it! It's a hoot to watch those 'youngins' run after the ball. Some of them are pretty good too! Progress your soccer game! Soccer is the most popular game in this world and soccer strikers are referred to the players that often scores goals in the game.